Have you heard of iFunny? It’s an app full of ‘funny’ pictures. Anyway, I saw this picture on there that wasn’t all that funny, but it really moved me. Take a look at this photo. 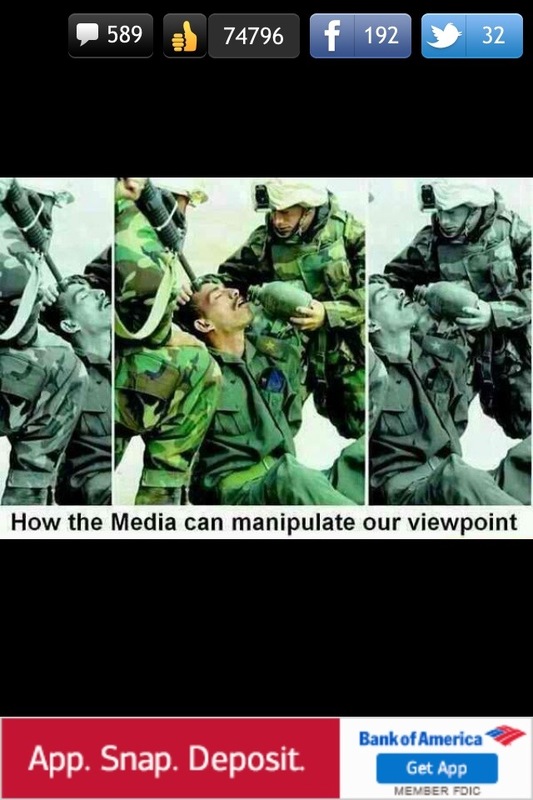 See how the media manipulates our views. First, look at the middle picture. It’s a man being given a drink with a gun to his head. You know the media would be all over that. Next, look at the picture on the right. How awesome of the gentle man to give that person a drink. Clearly the military man is just so generous. That’s what the media would say right? And finally, look at the picture on the left. We’re threatening the man, and he looks so defeated. It’s funny what a picture can say. After all, it’s worth a thousand words, right?